Are bed bug bites harmful? Do bees dies after they sting ? Where do termites live? 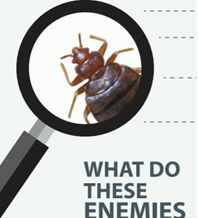 And what is a good pest control? Get your answers to some of the frequently asked questions we have come across in our more than 50 years of pest control business in Singapore.